Feline Leukemia Virus or FeLV is a retrovirus found in cats. A retrovirus actually changes the genetic makeup of infected cells by reversing some of the genetic code. This makes their body more susceptible to infection and will eventually lead to death. 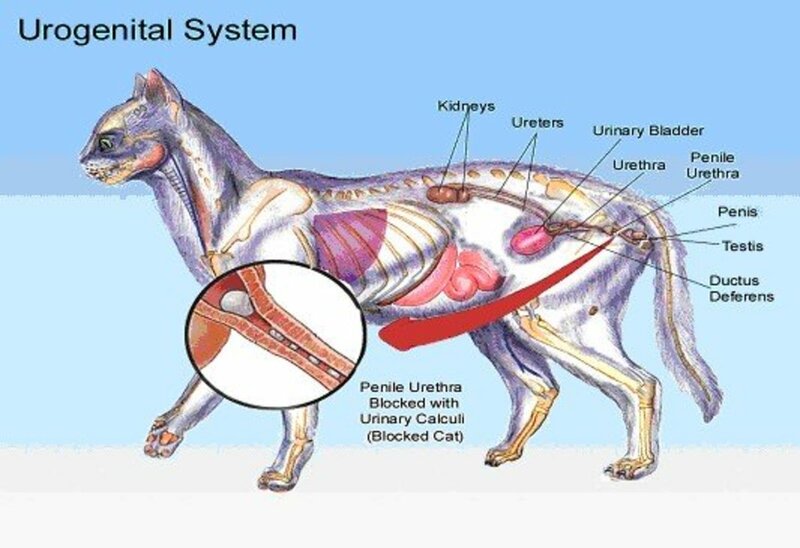 FeLV can be transferred through bodily secretions such as urine, milk, feces, and saliva. 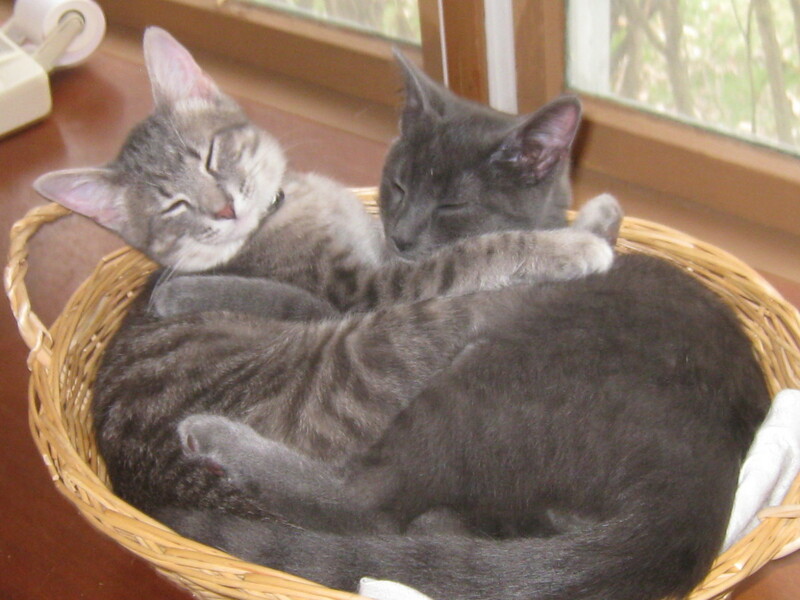 Most often cats transfer the disease by mutual grooming, nursing, or bite wounds. It also can be transmitted through sharing a litter box or a feeding dish, although this type of transmittal is much less frequent. Two to three percent of all cats have feline leukemia, and their life expectancy cannot be predicted. Like AIDS, there are two stages of feline leukemia. Primary and secondary viremia. Primary viremia is more similar to HIV, in that their life is not yet at risk, but will be if the disease progresses. A cat can stay in this stage for many years. Secondary viremia is when the bone marrow or other tissues are severely affected. 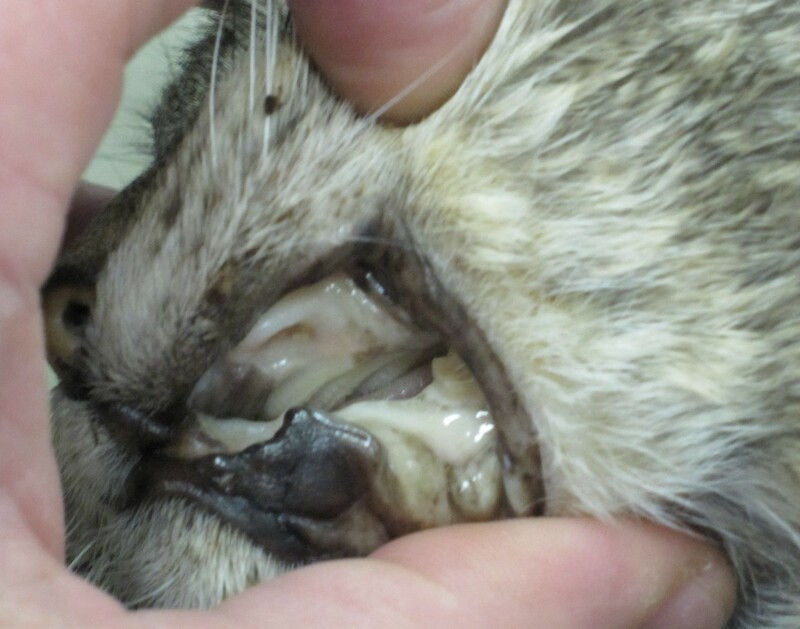 Once secondary viremia begins, the disease will eventually take the cat's life. Loss of appetite - if the cat chooses not to eat at all, they may end up with fatty liver disease, which will eventually cause yellowing of their skin. If not treated, they will die of this disease, rather than leukemia. Dull coat - due to their body's inability to produce healthy natural oils, or they may become very greasy due to lack of desire to clean themselves. Weight loss - which is often slow, unless they have stopped eating. Pale gums - as you can see in the picture to the right. Infections of the eye, urinary tract, skin, and upper respiratory system. Fever that will not go away. Lethargic behavior - if you know the odd behaviors of cats, you may be wondering how can you truly determine lethargy in a feline. Although if you notice your cat has become increasingly lethargic, or a kitten, which should be curious and active, you may want to have your pet checked out. 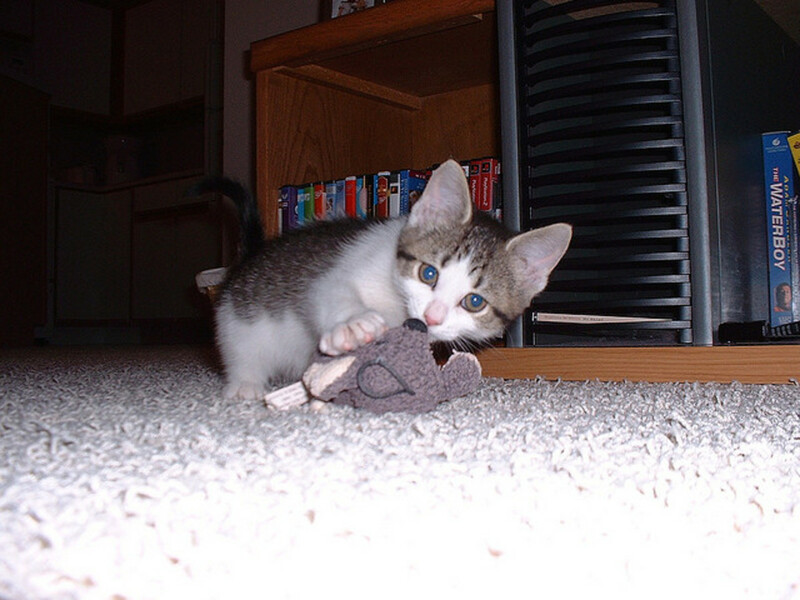 Anemia, which is most deadly in kittens, is the number one reason young cats die of FeLV. Seizures due to neurological damage. 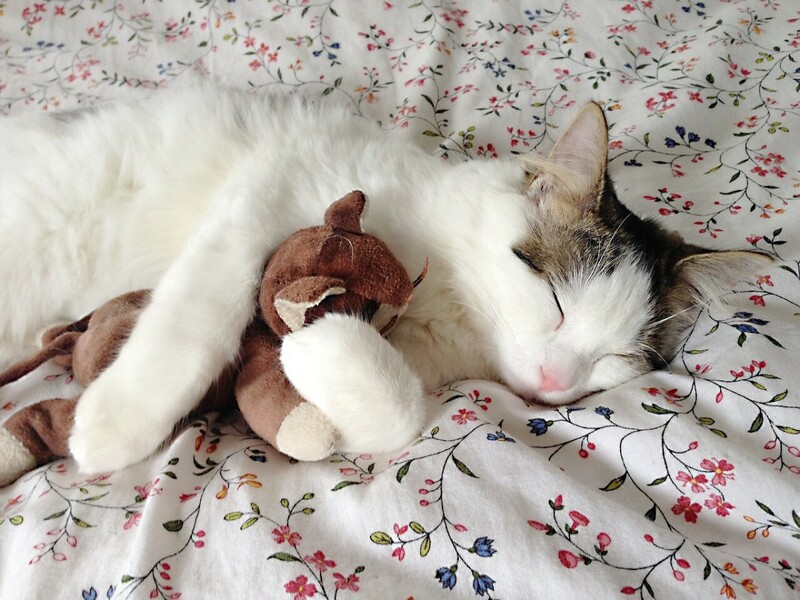 A pregnant cat may have miscarriages. Stunted growth in a kitten. 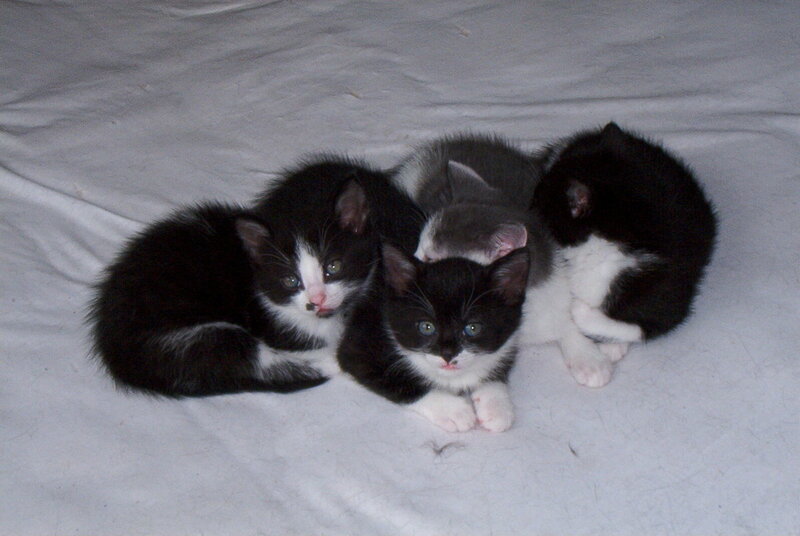 If you have a kitten in a litter that doesn't seem to be growing, most likely it has feline leukemia. Unless treated, its life expectancy will be very short. 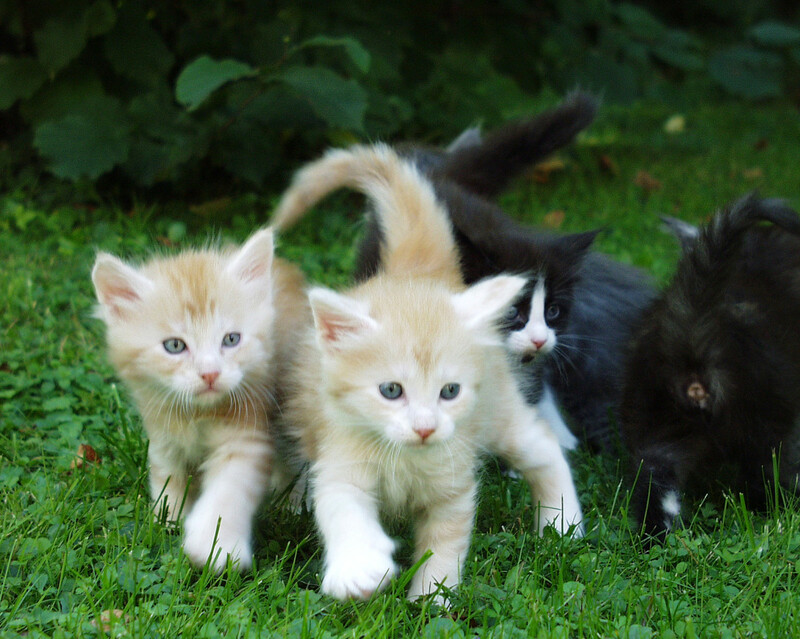 Kittens, due to their size and age, are more susceptible to feline leukemia than an adult cat. 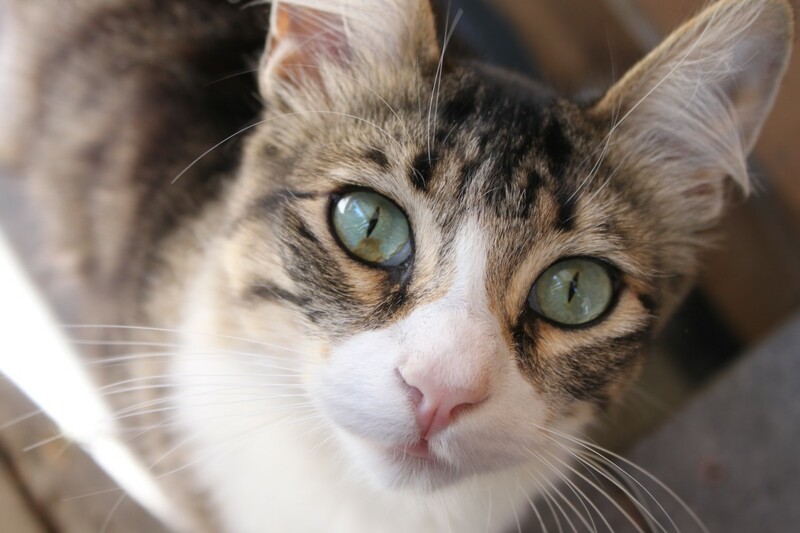 Adult cats that are exposed to the disease will become infected 30 percent of the time, whereas if the same amount of the disease is exposed to a kitten, 100 percent of them will be infected. Therefore, even if your kitten was born to a healthy mother, it is important to protect them from becoming infected by keeping them indoors and away from known infected felines until they are full-grown. Kittens who contract FeLV have a higher chance of an early death due to their already compromised immune system. The biggest indicator that your kitten might be infected is if they seem lazier and not curious. They may also seem smaller and grow at a slower rate than an average feline of the same age. Also, kittens with the disease tend to not want to eat. This is very dangerous because cats have a very ineffective liver. Often just a few days of going without food will severely affect their health. Anytime your kitten or cat chooses not to eat even for a day or two, it should be checked out immediately. Not only is it a sign that something bigger could be wrong, unchecked, but it can also result in liver failure and eventual death. Spay or neuter your cat to prevent further spreading of the disease. Also, pregnancy can adversely affect a cat that has FeLV. 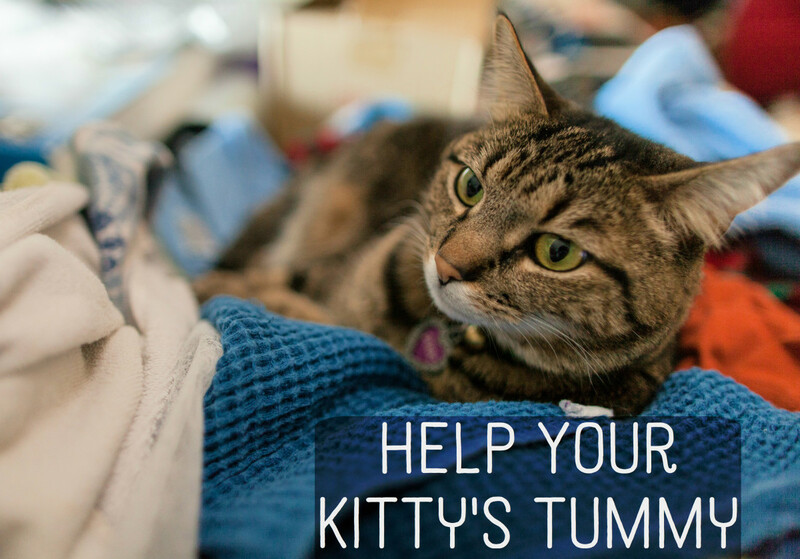 Not only is the chance of survival of the kittens low, but the pregnancy might become too much for the sick cat's body to handle. If they do get pregnant and the kittens survive, the chance that the kittens will have the disease is very high. 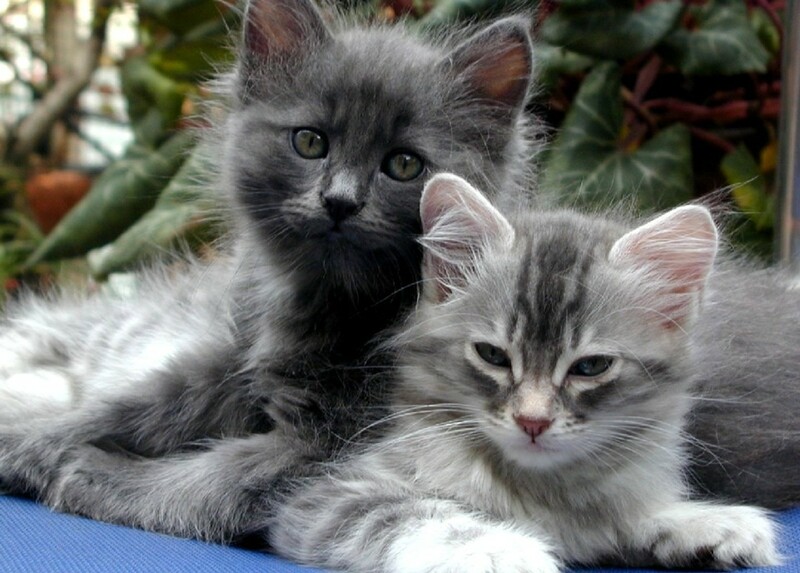 Feed them a nutritious and balanced diet, by providing a cat food that is high in protein. Avoid uncooked foods, because they will not be able to fight against food-borne illnesses that often result from uncooked foods. Bring your pet to the veterinarian every six months, so the doctor can check for any infections that you may overlook. Also, notify the vet as soon as you see any changes in behavior or health. Keep your pet indoors. This not only protects other cats but also protects your cat from getting any infections or diseases from other animals. He will be very susceptible to even the most minor illnesses or infections. 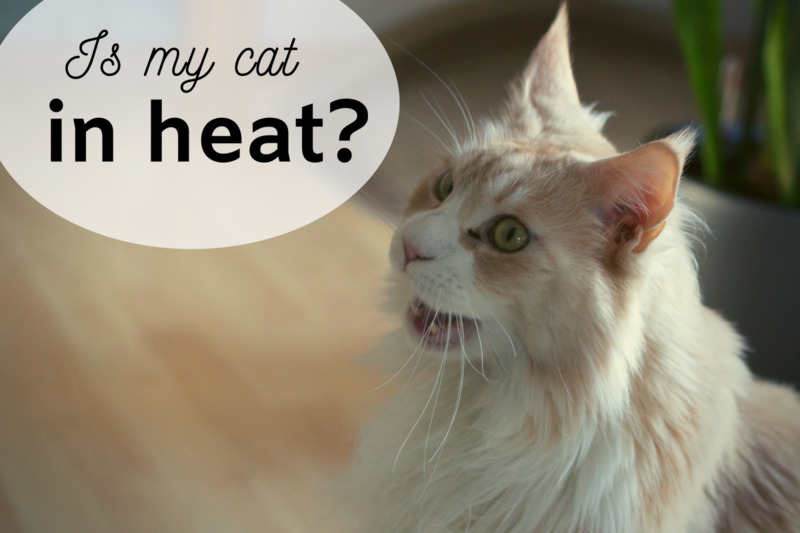 A minor infection that may cause diarrhea in a healthy cat may take an infected cat's life. The FeLV vaccine is a two-part vaccine. The first portion is best given to a kitten between the ages eight and ten weeks; the second is given between eleven and thirteen weeks. Although, unlike many vaccines, it is not one hundred percent effective. The effectiveness is somewhere between 90-95 percent. The vaccine can be given two different ways. One is with a needle, another using VET JET, which is given with a burst of air by placing it in contact with the skin. Most vet offices use a needle since not all offices have a VET JET. There is a very small risk of causing tumors, so the vaccine is usually given in the left back leg. The reason they do this is that it makes the location site easy to monitor, in case a tumor does develop. Even if a tumor does develop, a cat can survive without the left back hind leg. Although it should be emphasized this risk is a very slight risk. There is also an even smaller risk that the cat could develop the disease itself. Most vets do agree the benefits outweigh the cost, although you want to talk to your vet about your particular cat. How long will a cat live after they stop eating anything? A cat can survive for about two weeks without eating. If a cat is not eating or drinking, though, they could only survive three days. Unfortunately, cats have very poor livers, and if they go for even a short amount of time without food, they can develop fatty liver disease. This is very hard to cure, and often leads to death. I'll have to look into that. Thank you for bringing this to my attention. I echo the other comments thanking you for writing this informative article. It's heart-wrenching to hear the stories of this terrible disease taking its toll. One update you might consider to the article that could serve as another helpful resource to readers is that, while it's true there is no cure for FeLV, there is a product called Lymphocyte T-Cell Immunomodulator (LTCI) that received USDA approval in 2006 as a treatment aid for this indication. At least there's now an option to check out! My cat died of this virus a few years back. It was heart wrenching to watch him slowly pass away. He was so sweet and never indicated to us that he was in pain. Thanks for posting this and I hope it helps others. Angela, I'm glad you posted this very informative hub. I just found out about this virus when I took our two kittens for a wellness checkup. I had not heard of this before because I've not had a housecat for a pet in many years. Our two kittens came to us by way of a mama stray who revealed to us her litter one day. We have no idea if there were other kittens, and I assume there were more than two, but we suspiciously look at the neighborhood toms and play the "who's your daddy" game. Great hub; rated up and I/U BTW-love the avatar and it was the Peacock which caught my eye in the first place! Beautiful. I think this one is so heart wrenching because they can be healthy for so long with the disease, and then the slightest infection can kill them. 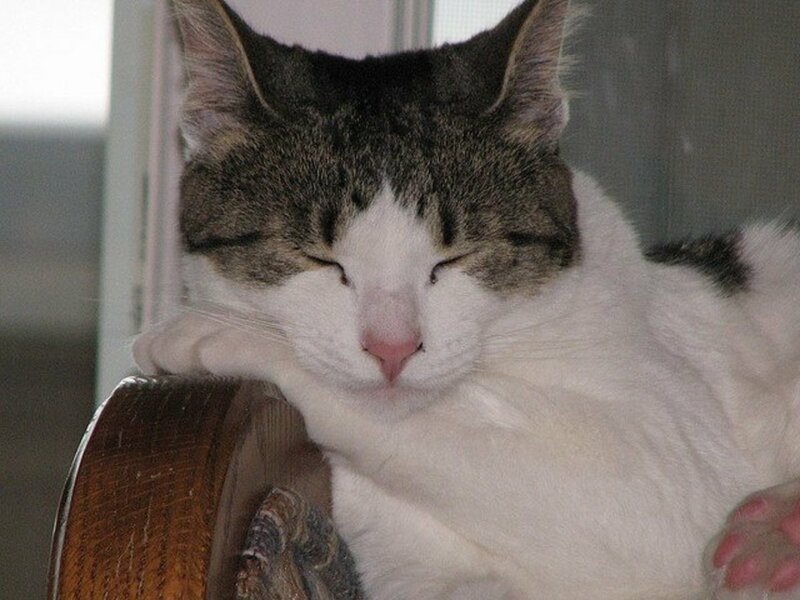 Jackie, I had a cat that was affected by insulation as well. For whatever reason she loved the stuff, and would eat it. She actually is still living, but for awhile was very unhealthy. Fortunately, once we realized what the problem was, it fixed itself. 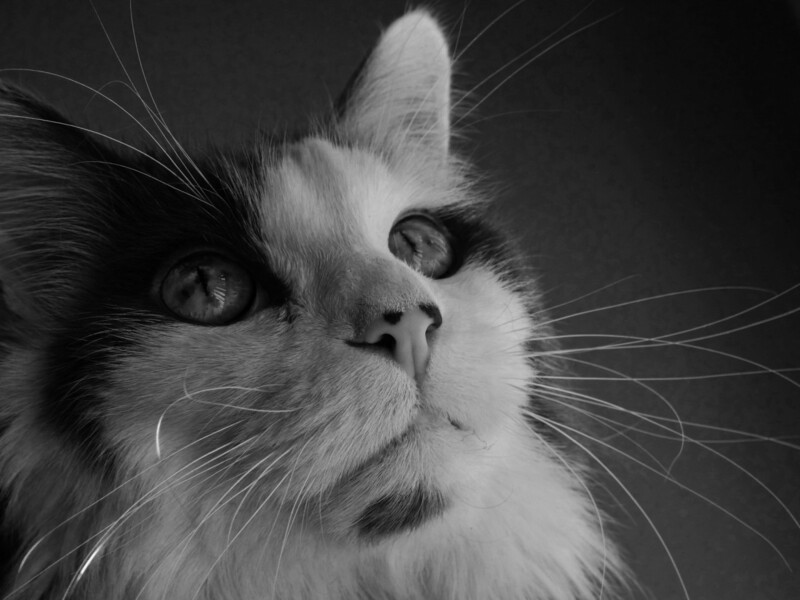 Lucky Cats, I actually am not the person who set up Marley's fund, but when I saw it, I wanted to add it onto my site, to make others aware that a fund is out there. I've lost two great cats to FLV. They lived fairly normally until they were about 8 years old. Then they suddenly got sick and died quickly. It was not a nice disease. But then, there probably isn't a nice disease at all. It hurts to lose a pet, no matter what the cause. What a shame. My cat is seventeen and she has been through a lot but I think it was mostly from getting into insulation somewhere years back. Sort of an allergy thing but we seem to have it whipped for the most part. She is white, which I have read makes her weaker for some reason but she seems to be enjoying age and just soaking up the sun. This is an awesome hub. Thank you for writing such a clear and easy-to-read article. Our cats are like family, so this is great information. Fortunately, ours are always indoors. Great pictures, too. The video... is heart-breaking and heart-warming. It gave me chills. Voted up, awesome, shared.